Here we are, All Hallows’ eve, aka the mark of the beginning of the holiday season (at least according to me) and aaall the thanksgiving things. 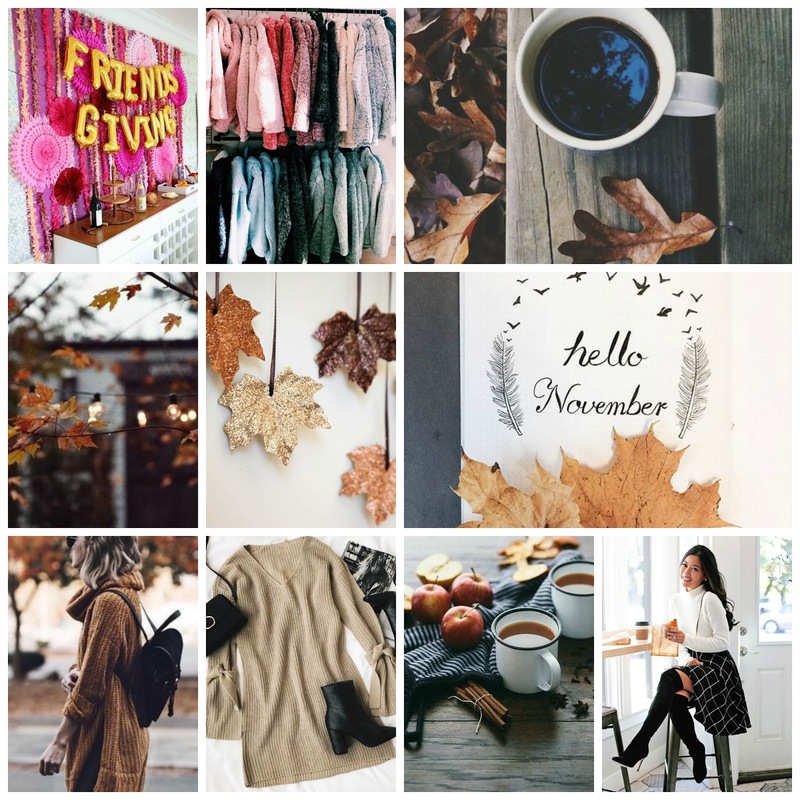 This month on the blog, expect some thanksgiving outfit ideas, plus some Black Friday sale tips & dibs on all the best deals, winter essentials, & more! On another note, anyone kind of over how Black Friday has been bleeding into thanksgiving? It’s my first out of retail in years, & now that I’ve seen the other side it makes me peeved that on the ~same day~ we celebrate friends & family & thankfulness we take retail employees away from their own families for a deal on tvs. KINDA CRAZY. We can go all out, but wait til Friday PLS. Anyway, less ranting more mood-boarding.